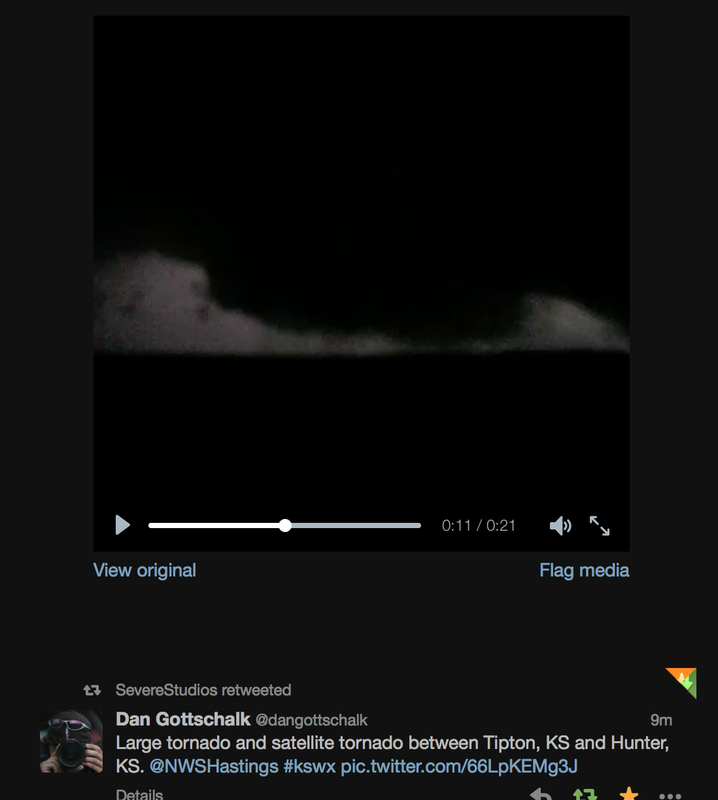 At 10:55pm, the tweet below included a video showing two tornadoes near Tipton. 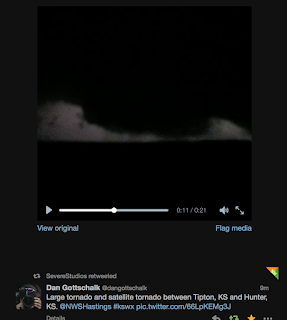 I grabbed an image to give a flavor of the video but you have to go to my Twitter feed @usweatherexpert to actually see the tornadoes. Here is the radar at 10:55 which still shows the mesocyclone but the tornado signatures have weakened considerably. I'll keep watching this a few more minutes and will report on Twitter. Radar is from 10:31pm. The outer circle is a "mesocyclone" -- a small low pressure system that resides in "supercell" thunderstorms. 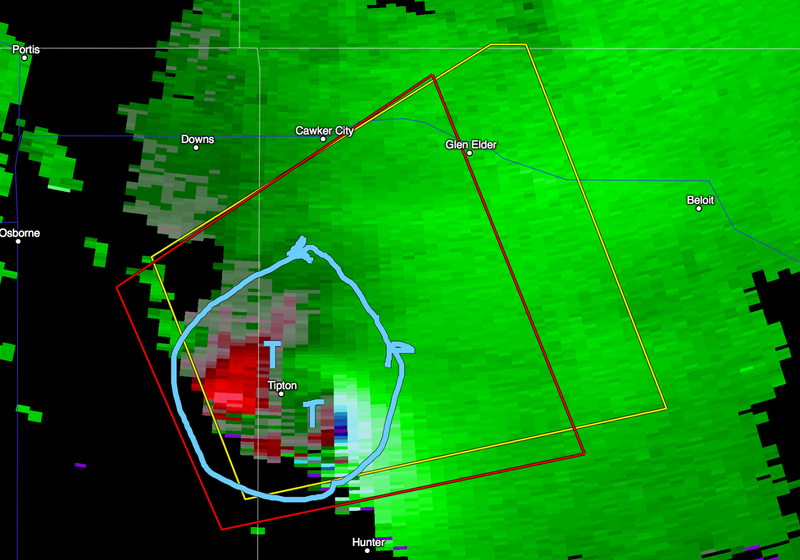 Inside, and rotating around, the mesocyclone are two tornadoes marked by "T" symbols. The eastern tornado was confirmed by storm chaser Dustin Wilcox. 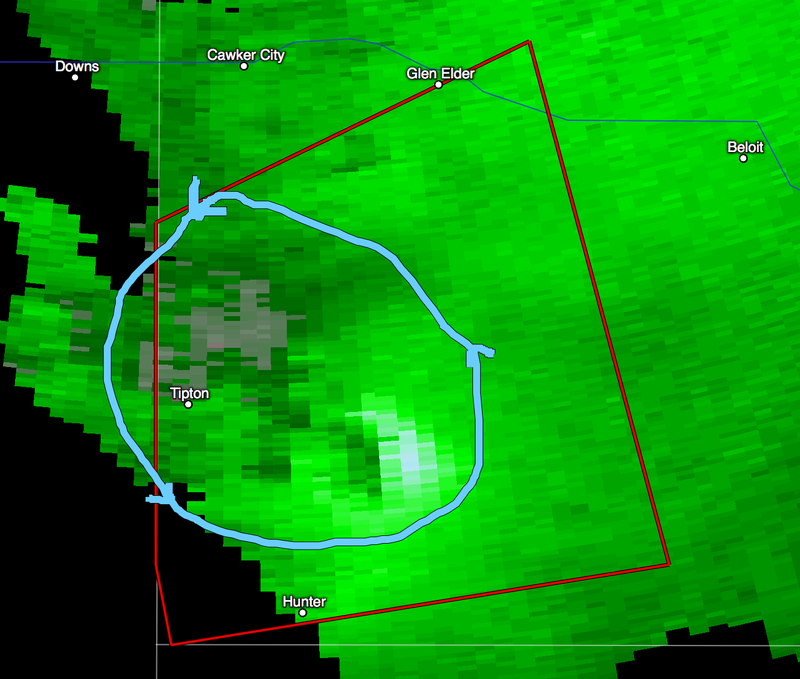 People in the area outlined by the mesocyclone should be in the basement! It is drifting very slowly E or NE.